SEOUL -- ​In a bid to survive in South Korea's competitive and saturated food delivery market, UberEATS, the online food delivery service arm of U.S. car-sharing company Uber, forged an alliance with CJ Foodville, the food service subsidiary of South Korean conglomerate CJ Group. UberEATS, launched in South Korea last year, claims a membership of more than 1,500 restaurants, and its delivery service for CJ Foodville menus will soon begin in Seoul. "With this partnership, UberEATS consumers can now order CJ Foodville menus with a simple tap," Jean-Marc Serayssol, the head of UberEATS' Asia sales division, was quoted as saying in a statement released by UberEATS on Wednesday. CJ Foodville operates popular brands such as VIPS, a family restaurant brand, and Tous Les Jours, a French-style bakery brand. By collaborating with UberEATS, the South Korean company, which has about 400 franchise stores in the United States, China, Vietnam and other countries, hopes to strengthen its marketing abroad. UberEATS has cautiously launched its food delivery service in Seoul to punch through tough competition in South Korea's 12 trillion won ($10 billion) food delivery market dominated by local firms such as Baedal Minjok and Yogiyo. The US cab-hailing app operator suspended its key ride-sharing service in South Korea in March 2015 due to stiff resistance from taxi drivers and city authorities. 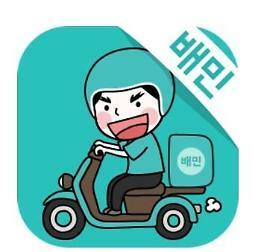 It came back with its premium taxi service, Uber Black, in Seoul in 2016.